There are four to choose from. The five-bedroom vacation homes include a beautiful open kitchen done in pine and hickory and comfortable furnishings. 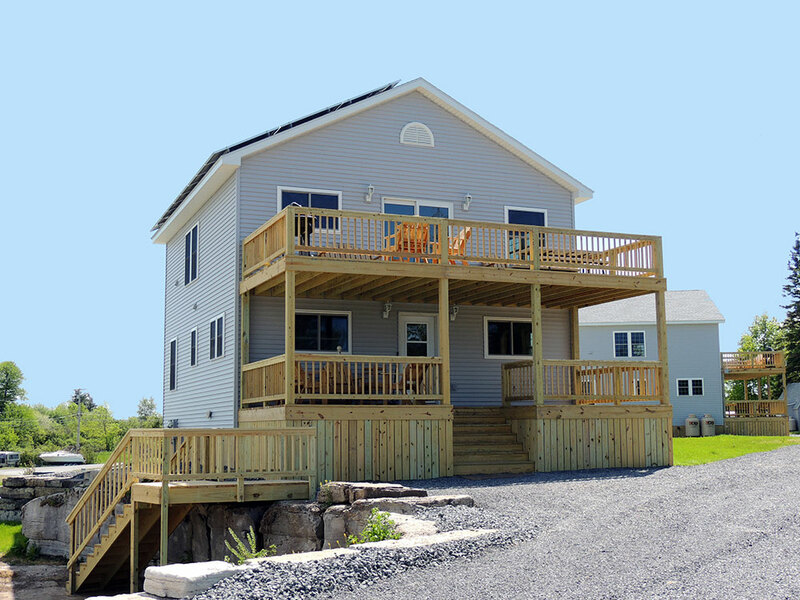 There are St. Lawrence River views from the upper level and a large deck equipped with an outdoor gas grill, a picnic table and Adirondack chairs. Each bedroom has a queen sized bed and plenty of storage space for your belongings. The large custom dining room table will seat 12 and there are three full bathrooms plus a washer and dryer. These homes also offer central air conditioning, heat, electric fireplace, TV with cable service and wireless internet access. Located in our new in-ground pool area, these homes are fully winterized and are open for rental on a year round basis. Best suited for 10 people, they will accommodate a maximum of 12 people.